There are about 10,000 species of birds alive today. Almost 200 additional species have gone extinct since the year 1500 and there are innumerable fossil species of birds in the geological column. One of the persistent challenges for modern young earth creationists is how to fit the diversity of life on the Noah’s ark. Answers in Genesis has published as series of articles by Jean Lightner of the past three years that have addressed the question: how many kinds were there on Noah’s ark? In the past decade creationists have developed a field of study they call baraminology which is the study of biblically defined “kinds” of living things. I addressed baraminology many times on this blog (eg. How Similar is Similar? Barmins, Species and the Identification of Common Ancestors). In brief, creationists attempt to determine how living things were classified in the Bible as a means of estimating of the total number of animals on the ark given that two (usually) of each kind were taken onto the ark by Noah. For example most creationists now believe that all canines including more than 20 living and probably as many extinct species were represented by just a few individuals on Noah’s ark. Noah’s ark was the ultimate genetic bottlenecking event after which all species of foxes, the wolf, coyote, domestic dogs, African wild dog etc. evolved from those two ancestral individuals on the ark. This brings us to Lightener’s attempt to determine the number of birds on the ark published yesterday by Answers in Genesis. In her article entitled “An Initial Estimate of Avian Ark Kinds” Lightner tentatively groups all living birds into 196 Biblical kinds or baramins as creationists like to call them. The claim then is that 10,000 species alive today all evolved from these 196 original kinds within the last 4000 years. There is much that I have said about this sort of ultra-fast evolution in the past (How Similar is Similar and Thoughts on Baraminology) which I won’t address again here. I just want to highlight and comment on two quotes from her article that I found interesting. So there is a possible intermediate fossil between these two birds. Sure sounds like an admission that missing links do exist to me. So how can she say this when young earth creationists (YECs) always insist that intermediate fossils don’t exist? The logic goes something like this: Lightner thinks that it is possible that these two birds could be part of the same biblical kind thus both would have only been represented by a single pair on the ark. Therefore they must have evolved a single original pair and so there must be intermediate ancestors. So YECs do believe in missing links and even expect that they should find them in the fossil record. So how do YECs know when to expect missing links? It is all based on their definitions of a kind. Intermediate fossils between foxes and wolves would be expected but a fossil that looks like an intermediate between a dog and a bear can’t exist (although there are plenty of such fossils) since the latter are members of different kinds that were created by special creation. YEC leaders will claim all the time that no intermediate fossils exist and that there are millions of missing links between kinds but they use a set of definitions that apply only to creationists. Intermediate fossils are expected and are just ancestors in kinds but by definition they don’t exist outside of kinds. Since YECs think that there was no coyotes, wolves or a foxes on the ark but some sort of intermediate of all of them, the first canines would be expected to not be like any canines alive today and thus would have been an intermediate species. As they changed over time they should have left some traces of their ancestors which showed their evolutionary change from one morphology (shape) to another. YECs have a profound misconception of the nature of intermediate fossils as all intermediates are really between species not between higher levels of classification. There is no expectation of intermediate fossils between a living red fox and a coyote but there are plenty of fossils of extinct species of canines that lie along the ancestral chain of species that lead to either the fox or the coyote. I have written a whole series of posts (A Horse is a Horse of Course, A Horse is a Horse According to Answers in Genesis, and When is a Horse and Horse? A Species Definition Problem) on the YEC view of horse evolution in which I showed that among YECs there is disagreement about the horse evolution series. Some accept that all fossil horses represent a real evolution of the ancestral horse (a small dog-sized animal) that was on the ark to today’s modern species of horses. All those fossils that have been found are considered intermediates between that ancestor and today’s horses. Other YEC disagree because they believe that those fossil horses must be a different baramin/kind and thus by definition no intermediates can exist and thus deny the horse evolution fossil series and claim it has been misinterpreted by scientists. Since YECs think that there was no coyotes, wolves or a foxes on the ark but some sort of intermediate of all of them then the first canines would be expected to not like any todays canines. Likewise we see here that Lightner suggests that these two bird might be able to hybridize which means according to baraminology rules they could be considered the same biblical kind of animal. Here we find that she is placing 1500 species of birds into one single kind. This means that there was only one species on the ark that has now become a whopping 1500 species. YECs use some amazing mental gymnastics that go on to explain how two dog-like individuals could contain enough genetic variation to become all the species of canines alive today including all domestic dogs. Those genetics absolutely defy all that is known about genetics. In this case Lighter seems to admit that natural selection and mutation isn’t enough to create all this genetic variety. So then how are 1500 species created from one species in 4000 years? All these birds started with just a couple of genomes and now there are thousands of variations of genes where there were there could only be a few in those birds on the Noah’s ark. Those new variations in genes either formed by mutation from pre-existing genetic information or God stepped in and created them in some new act of special creation. Lightner says it couldn’t be by any standard naturalistic mechanisms which implies some form of special creation. But her reference is to a particularly contorted genetic explanation having to do with meiotic genetic exchange which, although totally unrealistic and unsupported, is nonetheless an attempt at a wholly naturalistic explanation despite implying that naturalistic means won’t work. You can say you don’t think natural selection and mutation can explain the origin of all these species but if you come up with another genetic means of this happening you are just coming up with an alternate mechanism of evolution but its still evolution. If you are confused, you should be, I am too. YECs seem to be grasping at any straw they can to explain the enormous genetic variation that exists today while limiting the number of total individual species on the ark to a number, which is still unrealistically large, that could fit on the ark. Lightner tentatively estimates 196 kinds of birds where on Noah’s ark. Because they are considered “clean” animals there could have been more than two of each possibly up to seven. Now 400-1400 birds is a LOT of birds it is far fewer than 20,000+ if every living species had been represented. To Ken Ham and others this makes the animal situation more manageable. But Lightner is forgetting something. If she wants to estimate the total number of bird kinds she cannot ignore the fossil record. 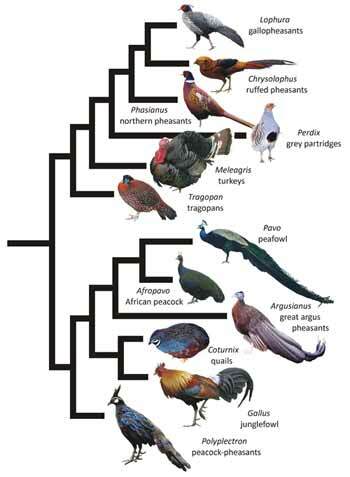 Cleary there are many more kinds of birds in the fossil record that represent groups of birds (eg. 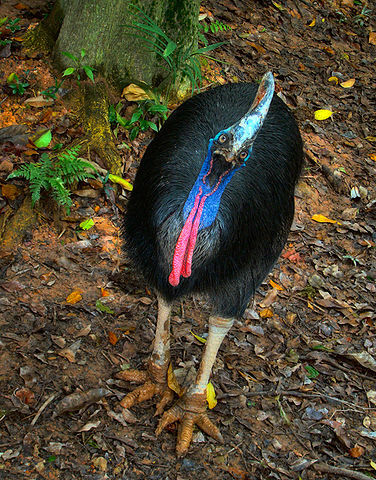 terror birds of South America) that lived after Noah’s flood (because the fossils are found in what YECs believe are post-flood sediments). There are several hundred named fossil birds many of which would have belonged to their own genus or family. So her 196 kinds would definitely be much higher if she considered the fossil “kinds” Wikipedia lists about 20 classes of extinct birds containing 100 identified species within those groups. 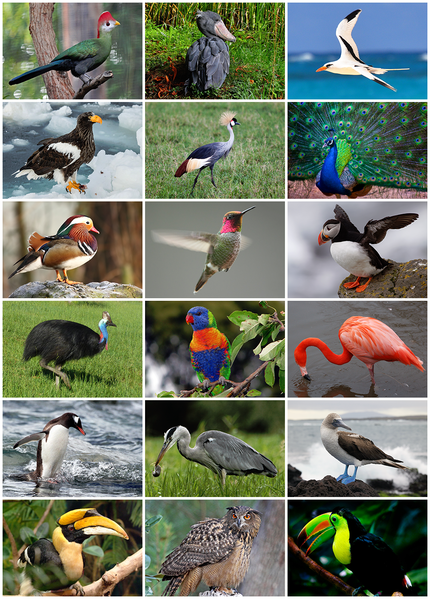 These would all be birds that would not fit into any group that is alive today nor is there any historical evidence (reports in the form of descriptions or images) of their existence. 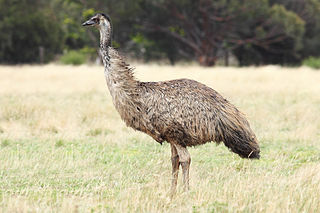 They also list well over 500 extinct fossil species of birds that would be related to today’s modern birds. Lightner’s work seems to comfort many young earth creationists who have worried about how all those animals could fit on the ark. She has paired down the actual numbers to a small number of representatives. At the same time she has created a plethora of new problems. How did such immense diversity of life come to be after the flood from such a small gene pool? 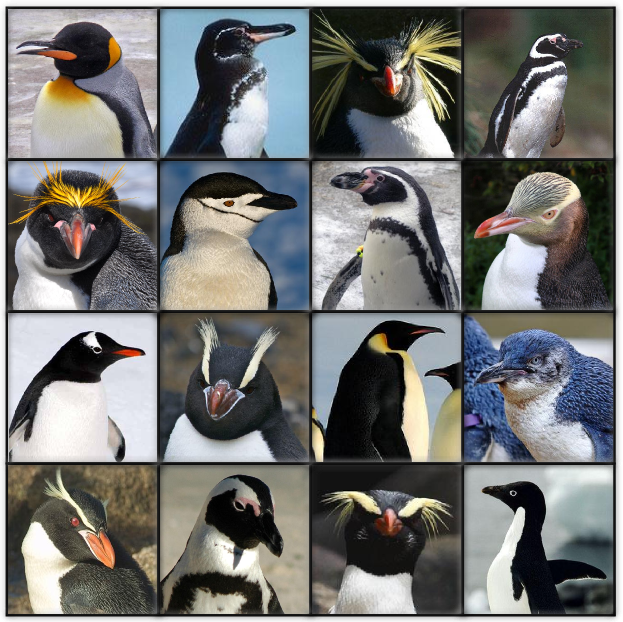 How could 1500 species of birds that are one “kind” and originate from 14 or fewer total individual birds be FAR FAR more genetically diverse than the human population which is single species but was derived from 8 individuals? Similarly, how can foxes, wolves, coyotes, wild dogs etc.. which are as genetically diverse as chimpanzees from humans have evolved this much diversity from just two individuals!? How could all of this diversity have formed within just a few years after the flood and why are there so many fossil species that are different from today’s species? As I have pointed out many times in the past, good theories generally help to explain data rather than create more problems. Every time YECs try to provide a solution to a particular problem, in the case the problem of too many species to fit on the ark, they end up creating a large number of problems. They have now been forced to accept a form of super-accelerate evolution by genetic sorting and strong natural selection while at the same time suggesting that natural selection doesn’t work. They are saying that intermediate fossils must exist while deny that they exist. Welcome to the wild and confusing world of creation science. I hope somebody from AiG reads this. Of course they will merely ‘shrug it off’ and carry on as before, misleading the gullible believers who fear science. I am not from AiG, but I am the author of the article discussed here. It is very clear that this blogger has misunderstood a significant amount of what I have written. Yes, we are forced to accept rapid change. No, it is not by genetic sorting alone. No, natural selection utterly fails in the evolutionary model AND it cannot explain within kind changes either – on any timescale. (Not all YECs recognize this.) You don’t find this out by reading lay level propaganda, but problems with natural selection are well known among those dealing with population genetics. If you want references, let me know. I have another article which may clarify my position, if you happen to care: http://creation.com/images/pdfs/tj/j27_1/j27_1_7-10.pdf. The Bible’s history is real, and understanding biology is greatly helped when people take the Word of the Creator seriously. I was never concerned about “fitting all the animals on the Ark”, but instead am interested in understanding what God has clearly stated so I can better understand the biological world around us. Thanks for your kind reply and the brief mention of your background. Regarding animal names in the Bible and speciation: prior to the Flood the only specific mention I have noted is tsoan (Genesis 4:2), which biblically is used for a flock of sheep and/or goats (any Hebrew lexicon should indicate this). Thus, it is not a species-specific term in the sense that we would understand it. As near as I can tell, there are no other names of animals, aside from the dove and raven on the Ark, until the time of Abraham. Also, in the unclean lists of Leviticus 11 and Deuteronomy 14, it appears that different divisions (species or maybe subspecies) then existed. Most specifically, using the NIV, it mentions “any kind of raven”, which to me suggests speciation within the raven kind since the Flood. Two articles of mine that deal with these types of issues more in depth are found at http://creation.com/Hebrew-Scriptures-creationist-taxonomy and http://creation.com/sparrow-finch-baramin. You will note that in my writing I do confront some YEC views I believe are unbiblical. While creationists have certainly listed examples of rapid speciation on their websites, you might be correct that only Todd and I have given much thought to identifying underlying mechanisms. There has been a tendency for YECs to just accept the evolutionary mechanisms: random/chance mutation plus natural selection. You can probably tell from my writing I consider these unsatisfactory. Again, I appreciate the discussion on this interesting topic. If you ever want to email me more directly you can do so. I always enjoy discussing these subjects. His method, if you haven’t seen it already, involves noting that members of a kind are unlikely to be buried in the same location near the end of the flood that they immediately return to after they leave the Ark. My suspicion is that this method will most likely eventually lead him to pick a mass extinction event, like the K-T boundary, which indeed would render the Terror birds you mention above to be post-flood. Do you know of any other attempts to pin down the endpoints of the flood? There were many attempts to do so in the last 20 years but not so much recently. Ooard, Snelling, Austin etc.. have all worked on this “problem”. There were (and probably still are) some really big differences in views and I know that Morris the III basically called out a group of creationists in Europe (can’t seem to find the article on the ICR site right now) for being compromisors for their view of the boundary being all the way back at the KT boundary. My sense is that the boundary has been moving back further and further overtime. Every time someone looks closely they find 20 more problems and try to solve them by pushing the boundary back and then calling the rest of the geological record post-flood events. A recent YEC seminar I was out recently had the speaker showing 6 examples of fossils of animals in the act of fighting or eating something when they died (green river fish etc..). For each he said that these fossils could only have been created in catastrophes. But here is the kicker, he admitted that each of his examples was a post-Flood event (Green river formation – all post-flood and thus was a volcanic eruption that killed and preserved those fish). He then summed up his talk by saying that these were all evidence that a global event was the most likely cause of most of the geological column despite his examples all being examples of local catastrophic events. But he was stuck because the best examples are from parts of the geological column that are now considered to be post-flood. It becomes even more devastating when you consider reptile diversity. Not only must Dr Lightner account for the few hundred “kinds” of reptiles on board the Ark giving rise to over eight thousand species of reptiles today, even pre-historic land reptiles (very diverse throughout the fossil record) must be included. This means not only dinosaurs, but also archosaurs, therapsids and pelycosaurs. The sheer diversity of genera within each prehistoric group limits the total number of kinds of “modern” reptiles that could be brought on board the Ark. Whats more, they must all have been driven to extinction in a few thousand years, so why dont we find their fossils in “post-Flood sediments”? I have a couple of questions for y’all. Q: How did God fit enough bread and fish into a few baskets to feed thousands of people? A: It was a miracle. Q: So how did God fit all of the animals on Noah’s Ark. I do believe that Noah’s Ark was real. Christ Himself knew that Noah was a real man, and Christ referred to Noah’s Ark: “But as the days of Noah were, so shall also the coming of the Son of man be. For as in the days that were before the flood they were eating and drinking, marrying and giving in marriage, until the day that Noah entered into the ark, And knew not until the flood came, and took them all away; so shall also the coming of the Son of man be. Then shall two be in the field; the one shall be taken, and the other left.” (Matthew 24:37-40) – Christ wouldn’t mislead people with false information. There may now be >10’000 species of birds. But how many families / orders do we observe? Any discussion should start with mutual agreement on data. In my opinion, there will not be a single PhD-ed YEC, who will claim there were 10’000 birds on the ark. With the baranome hypothesis in mind, a few hundred may have been sufficient, maybe only a few dozen. If evolution of novel species is merely a controlled reshuffling of genetic sequences, as I suspect it is, it would be a matter of decades to bring forth thousands of novel bird species. From cancer genomics we know of mechanisms (known as chromothripsis) that can induce rapid and controlled changes in order to bring forth completely new viable reproducing genomic configurations. In normal cells these evolutionary mechanisms are silenced and repressed. Active in the germ line…Evolution in a blink of an eye.